Amelia Island, Fla. – The Spanish Pegaso marque will be celebrated at the 2016 Amelia Island Concours d’Elegance, scheduled for March 11-13, 2016 at the Ritz-Carlton Amelia Island in Florida. Pegaso is Spanish for Pegasus, the winged stallion usually depicted as pure white on the Pegaso insignia. Pegasus’ mythological role was to deliver thunderbolts to Zeus. Appropriate, because that was the effect the stunning Pegaso Thrill coupe had on the 1953 Turin Auto Show when the Spanish Touring-bodied grand touring coupe made its public debut. “That such an elegant advanced design could come from a marketing plan promoting plebian commercial vehicles is a testament to the genius, vision and skill of engineer Wilfredo Ricart,” said Bill Warner, founder and Chairman of the Amelia Island Concours d’Elegance. 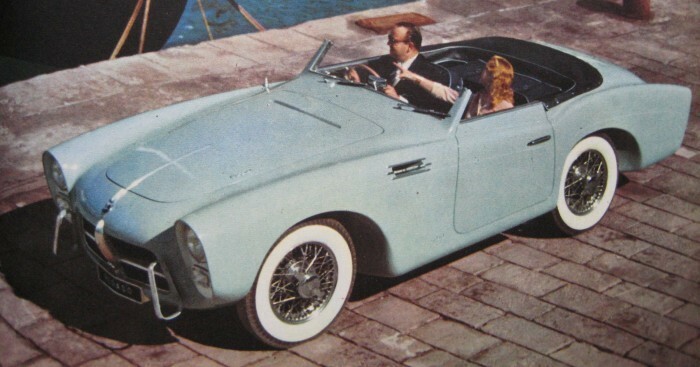 Ricart was the suave, articulate (he spoke five languages) and urbane creator of the Pegaso automobile. From his arrival at Alfa Romeo in 1936, Ricart was Enzo Ferrari’s nemesis, finally displacing him and creating a fleet of advanced and complex grand prix and competition sports and touring cars. World War II halted Ricart’s leading edge designs for Alfa Romeo and saw him return to his native Spain. 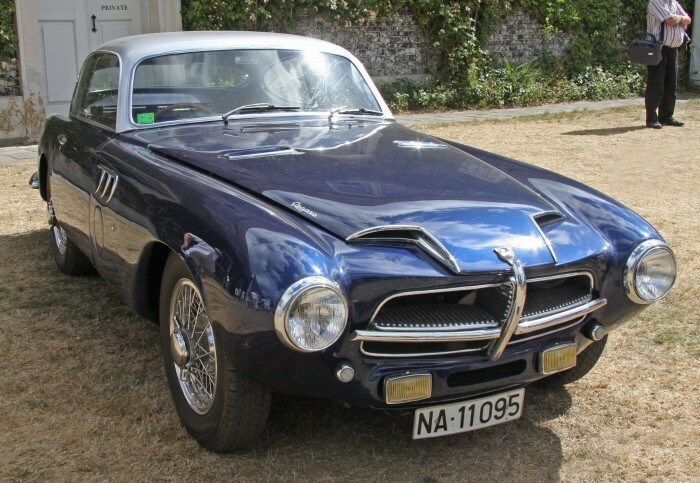 The Pegaso Z-102 was practically a grand touring coupe on a grand prix chassis; detailed with a supercharged, four-cam V-8 of 2.5 liters, a 5-speed constant mesh transaxle suspended by torsion bars and one of the most elegant de Dion rear suspensions conceived. Built in clean workshops by apprentices who were not troubled with the realities of modern mass production or the pressure of a time clock, the Pegaso roadsters and coupes were exotic road toys in the mid-1950s. Only 84 Pegaso cars were created as nothing more than an advanced apprentice training program for the giant truck, bus and armored car manufacturing enterprise that took root, appropriately, in the former Hispano-Suiza factory in Barcelona, Spain. Nearly ten percent of Pegaso’s total car production will be on the field at the Amelia Island Concours 2016. Carrozzeria Touring was contracted to produce alloy bodies for the Z.102, though customers could also request coachwork from Saoutchik or Serra. Beneath the skin, frame rails were drilled for added lightness, while the Pegaso used a rear transaxle and differential to optimize front-to-rear weight balance. Power output was initially rated at 165 horsepower, though later increases in displacement would produce as much as 300 horsepower from a 4.7-liter V-8. In between, the factory also offered a supercharger option, which produced 225 horsepower from the 3.2-liter V-8 introduced in 1954. Given the Pegaso’s extreme pricing, customers expected performance on par with the cars of Ferrari and Jaguar, but the marque enjoyed little success in racing. As a showcase for Spanish manufacturing, however, the Pegaso excelled, and its build quality and attention to detail were reportedly second-to-none. By 1958, however, sports car production was creating an untenable financial drag on parent Empresa Nacional de Autocamiones SA (E.N.A.S.A. 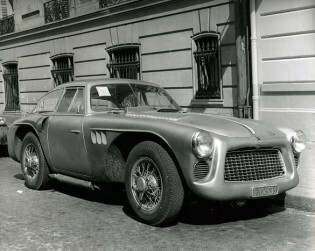 ), so the Pegaso Z.102 and Z.103 models were killed off to focus on the firm’s commercial truck business. Now in its second decade, the Amelia Island Concours d’Elegance is among the top automotive events in the world. Always held the second full weekend in March, “The Amelia” draws over 250 rare vehicles from collections around the world to The Golf Club of Amelia Island and The Ritz-Carlton, Amelia Island for a celebration of the automobile like no other. Since 1996, the show’s Foundation has donated over $2.5 million to Community Hospice of Northeast Florida, Inc., Spina Bifida of Jacksonville, The Navy Marine Corps Relief Society, Shop with Cops, and other deserving charities. The 21st annual Amelia Island Concours d’Elegance is scheduled for March 11-13, 2016. For more information, visit www.ameliaconcours.org or call 904-636-0027.